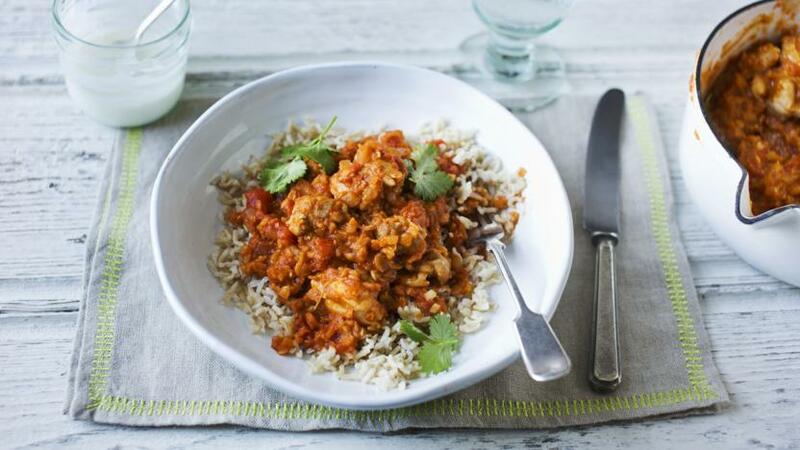 This high-protein chicken dhansak curry with lentils is the perfect weekday supper to warm you up. If you don’t fancy rice you could serve the curry with wholemeal flatbread, roti or salad. Leftovers will keep in the fridge for a day or can be frozen.